Nearly 50 percent of all condos sold in Long Island City last year went for more than $1 million, according to a report released this month by the Manhattan-based real estate firm Stribling & Associates. 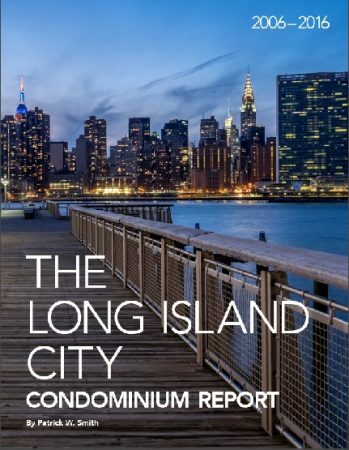 The report, titled The Long Island City Condominium Report 2006-2016, noted that there were 234 condo sales in Long Island City in 2016 with a median sales price of $996,443. Last year, 24 percent of those units were bought with cash, with those financing them putting down an average down payment of $350,000. Patrick Smith, a Hunters Point resident who was brought on by Stribling this month to launch that firm’s Long Island City operation, authored the report. The report provides an in-depth analysis of the condo market over the past 11 years. Smith attributes the rise in cash buyers, in part, to the stock market rally. In 2009, when Wall Street was still in recovery mode, only 14 percent of buyers paid cash. The report noted that the median price paid for a studio in Long Island City last year was $597,000, based on 30 sales. The median price paid for a one-bedroom was $814,000, and the median for a 2-bedroom was $1.25 million. There were 101 one-bedroom units sold last year and 81 two-bedroom units, according to the report, which is based on city records. The median price paid for 3-bedroom in Long Island City last year was $1.7 million, according to the report. There were 22 units sold. Prices have climbed in Long Island City for several years as the number of units on the market remains small. For instance, in 2015 only 150 condo units changed hands; in 2014, 206 units sold; and in 2013, 239 units sold. The greatest number of condos that sold in any year since 2006 was in 2009 when 417 units sold, according to the report. The median price paid that year was $600,000. 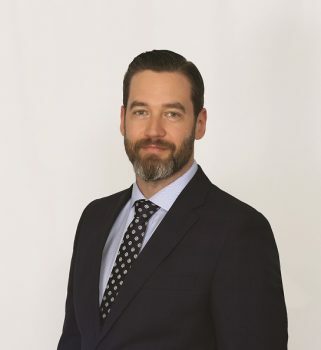 Smith, who has sold several condos in the area, expects the market to remain strong given the limited amount of inventory and the growing number of people who want to put roots here. He doesn’t expect a softer rental market to have much impact. He said some people may be tempted to find rental units that offer concessions—such as a free month’s rent– but many people want to have families here and stay for the long term and will buy. “If someone has a down payment, a good job and can get financing, I don’t think a month’s free rent will sway them,” Smith said. The report notes that the number of 3 bedroom units on offer is likely to grow. Last year, 9 percent of sales—22 units—were 3 bedrooms. Historically, the percentage of 3 bedroom units has been much smaller. For instance, the report notes that between 2006 and 2016, approximately 12 percent of all units sold were studios; 46 percent were 1 bedrooms; 37 percent were 2 bedrooms; and only 5 percent were 3 bedrooms or more. Smith said that he will be co-authoring a report on the Long Island City condo market every quarter on behalf of Stribling. He said he will be working with Stribling’s Director of Data & Reporting Garrett Derderian to produce it. In the mean time, he said he will be building Stribling’s presence in the neighborhood and will be working with both developers and residents. He said he plans to build a team in the area and establish an office over time. Note: Stribling is an advertiser of the LIC Post. Price :$2975.p/m. 2nd floor no view just the side street.1 yr lease. …..but I get to use a badly put together workout room, windows that open partway, roof garden ???? After paying such rents, you can’t afford to buy clothes so the closets are ample……young people don’t cook, just order in…….don’t need much in the way of dishes,/ cooking utensils. After 2 years of this existence you move, so you don’t need much furniture….Ikea, king of disposable junk. My employer offered me a transfer…..There is a God. if you have time to read through this article in 7/7/17 woodside herald, it is a no holds barred description of our woes in western queens regarding overdevelopment. “How Does This Benefit You? A report from RentCafe* examined data about 1000 cities in the US, noted that Long Island City has the greatest number of new apartments built, close to 13,000 (more on the way) since 2010. The finding would indicate to many that uncontrolled building, without adequate infrastructure or even planning, or consideration of quality of life, is worse than we thought. Is there a plus for us who are not out-of-area speculators, giant real estate brokers, lawyers doing deals, developers or owners? No. MORE BUSINESS FOR ME? If you are a small to medium-sized business in Queens, such as a supermarket or restaurant in areas where overdevelopment is spreading, you might think, if we get more skyscrapers full of people, at least I will do more business. Has that happened elsewhere in NYC? No, because without the Small Business Jobs Survival Act, at the end of your lease, your location is too valuable to let you keep it. MORE JOBS? If you are a resident public housing resident, some hear of a bright side such as we will have more jobs or promised training. Have promises been kept elsewhere in NYC? Environmental activist Elizabeth Yiampeirre of Uprose noted promises are not kept. “We just become second class citizens surrounded by rich people.” She suggested we all visit the development in Chelsea to see how life changes for the worse. With the current closing of small firms, there will not be enough “training” to make us the newly employed. 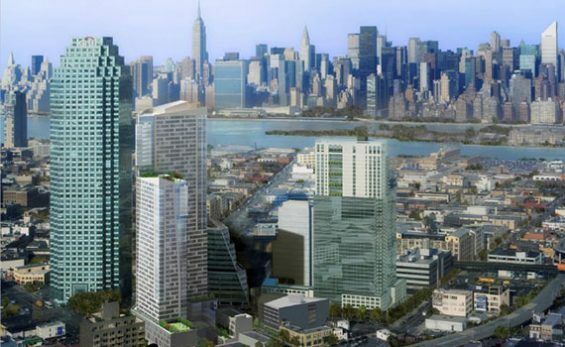 PLANNING: If you have recently moved into LIC, and are enjoying the bustle, hipness, views, and proximity to Manhattan, you might think that more development will not affect you. But do you see a dependable, bigger public transit system planned to handle the population increase? One ferry holds the same number of people as one subway car. Do you see public land being turned into parks for you or your kids? Do you see small businesses you use for daily needs thriving? Do you see traffic and parking getting better? Do you see any housing yet for middle income, poor people or homeless people? PROPERTY VALUES: If you don’t mind paying for, as the administration calls it, a new city, being built on decking over Sunnyside Yards, because it will increase the value of your property, why? Unless you cash out and move, you will have next door 180 acres of railyard and surrounding land under construction for 20 years, a skyline with 60-story buildings, displacement of current residents and businesses, and an unpleasant density of population. Will your air be cleaner to breathe? Will you have parking, affordable shops, less traffic? How will the new city be powered, Astorian Mitch Waxman asks, new power plants? ISN’T THIS CITY LIFE? If you think that this is the natural ebb and flow of neighborhoods and cities, poorer people moving out and richer moving in, why is there no place less expensive to move to as in the past? Because NYC in its entirety is being gazed at by developers who think nothing is in their way, and with many of us believing, falsely, that it is “inevitable.” Wrong. We have the vote. Taxpayers will have to pay for the needed infrastructure if built, not developers. We were told that “affordable housing” would be affordable. It is not. When you hear “community stakeholders” or “visioning sessions,” know that that a plan has been made and now it will be presented to you by trying to make you believe you have had a say in it. WHY NO SMALLER BUILDINGS? If you wonder why developers have asked for rezoning, instead of just rebuilding the current legal height, the reason is that developers are would rather earn the most possible – it is more profitable to get the law changed, that is, rezoning, so as to not just make some money, but a lot. It is more profitable to have gotten “Mandatory Inclusionary Housing” passed which allows lucrative bigger buildings, and 421-A renewed, to avoid property taxes. The Real Estate Board of NY, a lobbyist, has worked for this moment in NYC history, to cash in their chips. ELECTEDS: If you wonder why the mayor and elected leaders are not taking the strong stands we would like, which favor the people, neighborhoods, small businesses of NYC and not big real estate, the reason is most believe they cannot. They have learned that the funds available to run and win are only available from big real estate, and if they do not comply, their careers are over. They have seen media smears for those taking the long view to save the city. NON-PROFITS: Many non-profits in NYC rely on public grants, and they, too, think they have to keep silent to survive. What taxpayer-funded structure executive would feel comfortable allowing a “stop overdevelopment” summit, even though most would agree it is crucial public issue? MEDIA: If you believe that there must not be a big problem because if there were, the big newspapers would let us know, you would be mistaken. The massive amount of advertising money flowing from real estate is too much to pass up. THE ACTUAL PLAN: Instead of uniting the two cities, rich and poor, as promised, the planning going on is one rich city. At the recent LIC “summit,” most spoke of wider development as “when,” not “if,” according to LIC’s Kenneth Greenberg. A developer, also chairman of the LIC BID, just asked for permission to install 36 feet of wiring to heat half the public sidewalk for his high-rise on Purves St. Why? Presumably, because future luxury dwellers will not mind the higher rent for the amenity. But how will that work out? Homeless people wander within blocks. There is an urgent citywide need for less expensive housing, not luxury. Our taxpayer-paid NYPD will be asked to remove those trying to sleep on the toasty public sidewalk. It is not wrong for the chairman try to make as much as he can from his building. The problem is that it is part of a future that does not include the majority of us now living here or not believing that poorer people will be a concern. WE CAN CHOOSE A BETTER NYC: Overdevelopment is happening in plain sight, with our permission. While we worry about national news, the land grab of Queens continues and a city that could have been home to all incomes as always. Many of us wrongly believe we can do nothing about it. Why not contact your electeds now and email your community boards? They WANT to hear from us. Let the developers get the approval of the people or stop. **Full disclosure: The author signed the petition to include Councilman Van Bramer on the primary ballot. Ms. Dorfman, I just came across your post today 7-21. I think you are spot on with your assessment of the future of LIC and NYC in general. I have been saying similar things about a city for the rich only and over development without planning for some time now. All I get are more dislikes than likes. Most People just don’t get it in the LIc and NYC area. Mr. Van Bramer I feel has helped cause some of this over development. I don’t know if he can be trusted. You did a good job of making people aware although this is an older post. Wow, the number of dislikes to likes for your excellent post is symbolic of just how serious the problem is. Way to many selfish and arrogant people that either don’t care, or lack the foresight to truly understand what is going on. Plus, there is little doubt that the majority of them aren’t from New York. Frank, When I said think about other people’s feelings for a change, I guess it didn’t register with you. Being selfish is not a good trait to have. Many people know this neighborhood is not capable of handling what is here and supposedly what is to come. I repeat what I’ve said before. Building without proper planning for infrastructure and the like is a recipe for disaster for this or any neighborhood. Frank, you must see a different world from what I see. Yes the 4-5-6 are bad but so is the #7 and the whole system. Gov. Corruption Cuomo just declared the MTA is in a State of Emergency, just as he would do during a natural disaster such as a hurricane etc….I would never want to live in midtown, it is too crowded. LIC is fast becoming the same as Manhattan and that is not a GOOD thing to me. I guess you want lousy planning for the people who live here and don’t like overcrowded everything. I know you would rather run around with the wealthy than he average Joe, already. Amazon seems to be your one stop shop for everything. Not everyone is like that Frank. Think about other people’s feelings sometime. Everyone might not like it, but it is what is coming to this neighborhood. Time to get used to it. As far as I am concerned, I could give a toss. Property prices are going up, and my apartment is making me good money. I lived in Manhattan for decades, so LIC still seems pretty empty to me. Frank, you obviously believe in the hype about LIC & NYC. 1. It is not as safe as Politicians & NYPD would have you believe. 2. Transit is a mess (deny that one). 3. It is way too crowded (deny that one). 4. It is going to get more crowded on trains & buses and streets & sidewalks, without proper planning (deny That one). 5. People here will be your favorite kind Wealthy.and the middle class and poor will be kicked out. 6. Where are the stores as small business close right and left in Manhattan & Queens among others. Don’t drink the Kool-Aid Frank, you just may not like the taste. 2. I do deny it. Try riding the 4/5/6. 3. I do deny it. Try living in Midtown. 6. What stores are we missing that cannot be replaced by Amazon? Some of you people are acting like LIC represent all of Queens and it does not! This area in particular consists of a couple of blocks and we should be lucky that people are willing to buy for these condo averages and settle here. LIC is clean, quiet and safe. The apts are new with many good amenities. Take a look at some of the other articles in nearby towns and see if you’re willing to move if you are looking for cheaper or getting more for your money in terms of properties. David, Many of these condos/apts are poorly constructed by non-union labor and poor building inspections. There are not enough inspectors and I do believe some get kickbacks from these greedy developers. LIC/NYC is not as safe as you make it out to be. Many crimes go unreported or are under reported. NYC/NYPD work to downgrade crime to keep the tourists coming. (SEE COMPSTAT). The subways are not safe and way overcrowded. Roads are jammed as are sidewalks. Ferries will not be enough or the ill advised BQX trolley. Not sure what LIC you live in…maybe you get your info from Trump? Please the buyers are not dumb! You act like people are throwing away their money and buying with blind eyes. Buyers know the area is overall safe, clean and that the new buildings are built to code with mostly great lay outs, views and quality features and appliances. i am not sure where you live but perhaps you should see what other nearby neighborhoods are like in terms of housing and crime. Safety, schools and location is key in NYC. And yes its expensive to buy here however there are still cheaper condos in Queens compared to what these condos are selling for. It seems you believe all the real estate Hype about LIC. I heard a Real Estate person talking to a prospective buyer on the street near Murray Park. a year or so ago. The convenience to Manhattan, he stores that will come etc… all BS. Many cries go under reported or unreported in LIC. Read some of the posters on this site. Some say 108 pct took 3 hrs to come or did not come at all. Lax enforcement etc.. Many people have said the construction of many of these “NEW” luxury buildings is shoddy at best. Many by non-union workers and developers cut corners. I have met people from Arris Lofts on Thompson Ave who can hear the next apts. microwave beep. The walls are paper thin. If you also read this site you will read how people throw trash all over LIC and let their dogs poop on the sidewalk and don’t pick it up. Whatever you call cheaper are still out of the realm of many peoples budgets as they are way overpriced. Yes , especially out of towners come in with BIG DREAMS and wide eyes. Some look as if they never saw a BIG Building before in their lives. MRLIC is right. These building are constructed as cheaply as possible, and often the labor is non-union garbage. The other day near Court Sq, where they just knocked down the union hall (yep, for real), there were a couple of Asian guys using a jackhammer on the sidewalk. They were dressed casually (no helmets, no gloves, no boots), and clearly had no clue what they were doing. They also didn’t block off the sidewalk, so people could walk right up next to them if they wanted. It’s a joke. This is some 3rd world stuff going on here. In 5 years these prices will double. Once the ferrys are in place and LIC is fully developed. 587,000 for a studio. Something ain’t right here. As for the real estate guy’s analysis, why if you plan to build roots in LIC would you choose to live and own a studio? And pay straight up cash like a drug lord or hitman would? These towers are friggin dark money laundromats. You do realize that a cash buyer is not showing up with a briefcase of cash, right? All it means is that the buyer does not need a mortgage, i.e., can cover the cost of the property with existing liquid funds. The money is legitimate, not “dark money”. I would hazard that a cash buyer for a studio is probably going to use it as an investment/rental property or do AirBnB. …or they are using the proceeds from selling their former home to buy the new place for cash. Use it for airbnb, that proves my point. Airbnb is a criminal enterprise. Exactly. All the dirty money and money laundering going on is insane. And it’s well documented. Morons like Frank are either oblivious to reality, or profiting from it themselves. Ram Bammer, I was wondering myself how much Jimmy No Brainer was receiving myself. It is a crying shame what he has helped turn LIC into. It is now a rich mans land. $1 million dollar condos and 24% of the people paid with cash. Who are these people, Wall St. Bankers, Oil Sheiks, Millionaires etc……? This is why I say where is the affordable Housing? Who can afford these inflated prices??? Answer: Only The RICH. The city caters to two groups, rich and poor. If your middle class your more or less forced out to the Island or upstate. This is nothing new. So why don’t you ask yourself if you were smart enough to buy something 7 years ago when the market was down to the bottom? Now you should be the rich not a crying baby! I was too busy bowling. So this is why Van Bramer has sIutted out LIC. I wonder how much kickbacks, under the table deals and soft dollars Van Brammer has received from this? Do you wonder? Fake “Dislikes”. I wonder which of the “Hey are you a registered Democrat because we want Van Brammer on the tick” tooIs did it. This is what I mean when I say where is the affordable housing in LIC and NYC in general? Who can afford these prices?? No one I know and all my friends and acquaintances either. $597,000 for a STUDIO !! These Real Estate Jerks must be out of their BLEEPING minds. If people are paying these prices, then those are the prices. It is called a free market.Maybe you, your friends, and your acquaintances cannot afford to live here anymore. Oh well. Ha, another “free market” moron that doesn’t truly understand the concept, and certainly has no grasp on reality. How many wealthy foreign buyers are paying “cash” that come from who knows where? How many units are being purchased by bogus LLC’s? REITs? Other investors making questionable loans? Plus, this “report” was published by a real estate firm. Think about it… if you are capable. What is wrong with this part LIC appealing to a certain type of buyer with a certain amount of income? LIC is surrounded by one of the biggest affordable housing units in the nation. If people were not buying for these prices then average home sales would decrease. It is like you selling your place and not trying to get the median price range or top dollar for your property because you feel like it is to high, unfair or not affordable even though buyers are lined up and willing to pay more..that just doesn’t happen! Because rich assholes generally have no character. And Queens is perhaps the last borough left for those of us seeking a little character.